Hey! Today I have more than one project or tip to share with you. 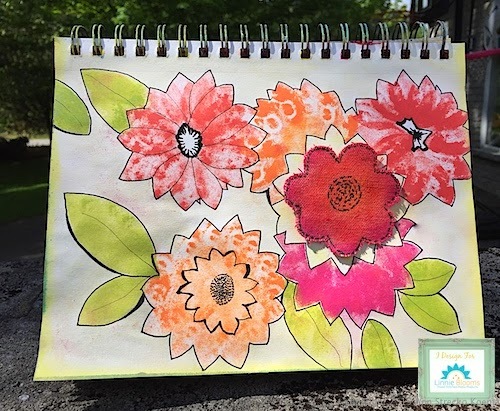 I recently felt inspired to make the following page in my Canson Mix Media art journal. I share this project also over at the Linnie Blooms blog (over here).